Looking for Viton™ Cord? We have a full line of Viton™ products available. Feel free to look around our website. Viton™ Cord is often used for custom made o-rings. Viton™ Cord can be used in projects that need to withstand high temperatures of 400° F for extended periods of time and/or excursions up to 600° F for short periods of time. 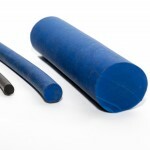 Most often inferior elastomers will lose their sealability, however Viton™ Cord will not and is the perfect Fluroelastomer product to pair with your application. If you have a harsh chemical environment then Viton™ Cord is an excellent choice. To place your order for any Fluroelastomer needs call us today at 330-848-2255.